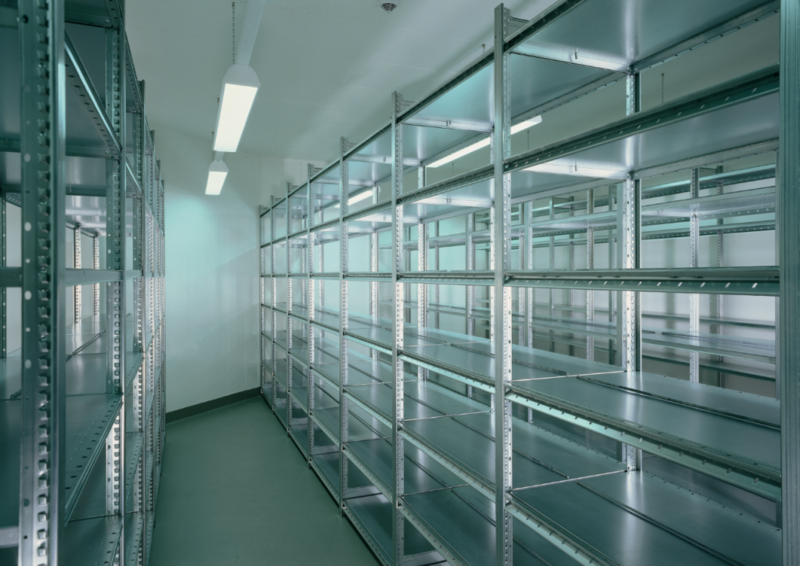 Industrial Shelving has always been a broad term used to describe moderately priced steel shelving of significant capacity. It used to be the case that the term simply reflected the fact that although sturdy, from an aesthetics point of view, the product wasn’t the ideal choice for a high profile area. Now, however, we find these lines are increasingly getting blurred with the introduction of products such as the DEXION HI-280 line of shelving. HI-280 shelving has been increasingly taking Europe by storm with its remarkable German engineering. This system requires no nuts, bolts or clips and is made from clean sheets of pre-galvanized steel providing an end result that looks remarkably like brushed stainless steel. Its appearance is only surpassed by its functionality. With a lengthy list of accessories including drawers through to dividers, and a wide choice of decking material, there is virtually no shelving system that can compare. Although it is possible to find galvanized shelving of similar appearance and supposed function, a quick look at these competitors will show the true superiority of the HI-280 product. Whether a single stand alone shelving unit or a multi-tier mezzanine, the HI-280 system goes together quickly, easily and is completely customizable for most any specific storage requirement.